There are billions of Internet users connected to one another, and every minute, these parties create mind-boggling amounts of new information and data. Yet because cyberspace is so vast, flexible, and unregulated (and because it grows in leaps and bounds every year), all these users are highly vulnerable to dangers from cyber criminals, rogue nation-states, and other outside forces. Every minute, individuals and organizations hack multiple websites around the world. Each year, experts discover millions of new pieces of malware designed to illegally tamper with computer systems. Yearly, cyber crime leads to astounding global monetary losses of billions and billions of dollars. In just a single year, millions of people will find themselves the victims of cyber identity fraud. Public policymakers and technology experts agree: Cybersecurity and the issues associated with it will affect everyone on the planet in some way. That means the more you know about this hot-button topic, the better prepared you'll be to protect yourself, to weigh in on the political and ethical issues involved, and to understand new threats (and new solutions) as they emerge. 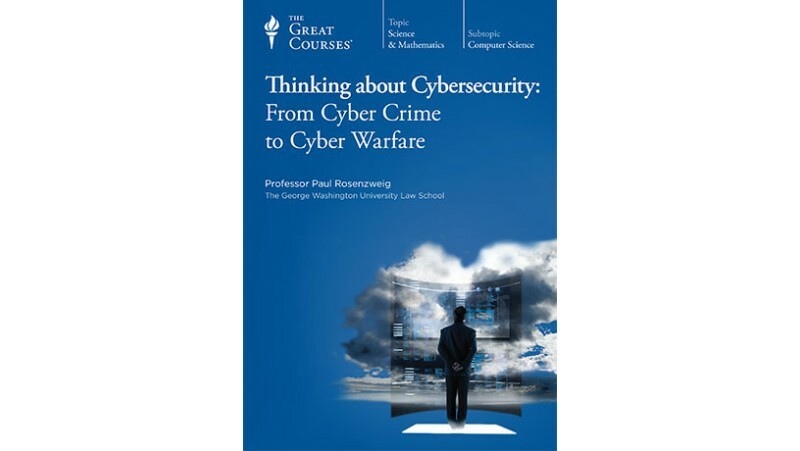 Thinking about Cybersecurity: From Cyber Crime to Cyber Warfare is your guide to understanding the intricate nature of this pressing subject. 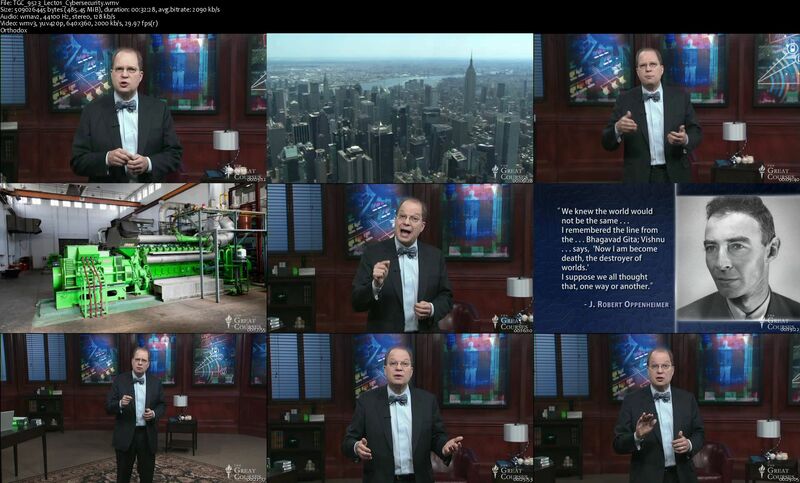 Delivered by cybersecurity expert and professor Paul Rosenzweig of The George Washington University Law School, these 18 engaging lectures will open your eyes to the structure of the Internet, the unique dangers it breeds, and the ways we're learning how to understand, manage, and reduce these dangers. Combining an expert lecturer with a fascinating topic, this course is a riveting learning experience that immerses you in the invisible world of codes, computer viruses, and digital espionage, and offers an enthralling look at the high-stakes battles of tomorrow. Thinking about Cybersecurity is laid out in a clear, systematic fashion so that you never feel overwhelmed by a topic that can seem mindboggling. Professor Rosenzweig starts by giving you a solid foundation of how the Internet and cyberspace are built, why cyber systems work the way they do, and how technical experts and scientists have attempted to "map" them out. advanced persistent threats, which intrude into computer systems for long periods of time and make computers vulnerable to continuous monitoring.